China (the People's Republic of China) is one of the largest (either 3rd or 4th largest depending on the territories included) countries in the world in terms of land area, and also has the largest population of any country. The country has land borders with Afghanistan, Bhutan, India, Kazakhstan, Kyrgyzstan, Laos, Mongolia, Myanmar (Burma), Nepal, North Korea, Pakistan, Russia, Tajikistan, and Vietnam. Additionally, the People's Republic of China claims sovereignty over the island of Taiwan (however Taiwan has its own rival government (the Republic of China), which claims to be the legitimate government of all of China). As already mentioned, China is currently the most populous country in the world. 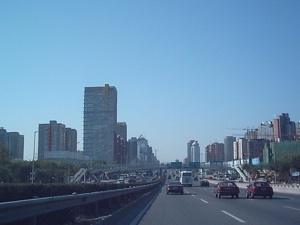 As of 2007, the country had an estimated population of 1,321,851,888. 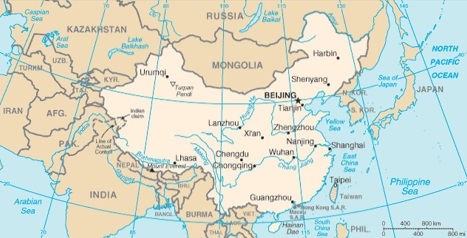 There are over 50 cities in China with a population of over 1 million, and capital city, Beijing (formerly known in English as "Peking") has a population of 10.3 million in the city itself, and around 15.9 million in the metropolitan area. The government of the People's Republic of China is led by the Chinese Communist Party. After gaining power in 1949 following the Chinese Civil War, the government initially pursued a central-planned economic policy based on that of the Soviet Union. However since the late 1970s, more and more market-orientated reforms have been introduced, and this has led to rapid economic growth - China now is the 4th largest economy in the world (although still with a much lower standard of living than western countries such as the United States). Additionally, after China regained the regions of Hong Kong and Macau in 1997 and 1999 (from Britain and Portugal respectively), the capitalism systems of these regions have been preserved as "Special Administrative Regions". Ready to experience China? The experts at Fodor’s are here to help. Fodor’s Essential China travel guide is packed with customizable itineraries with top recommendations, detailed maps of China, and exclusive tips from locals. Whether you want to climb the Great Wall, explore the Forbidden City, or discover the Terracotta Warriers, this up-to-date guidebook will help you plan it all out. Planning on visiting Southeast Asia? Check out Fodor’s Thailand: with Cambodia & Laos, and Fodor’s Vietnam. Lonely Planet China is your passport to the most relevant, up-to-date advice on what to see and skip, and what hidden discoveries await you. 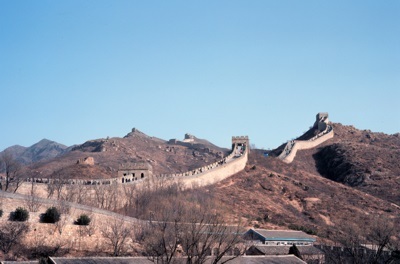 Try dumplings in Beijing, visit the Great Wall or cruise down the Yangzi River; all with your trusted travel companion. Get to the heart of China and begin your journey now! The Perfect Choice: Lonely Planet China , our most comprehensive guide to China, is perfect for both exploring top sights and taking roads less travelled. DK Eyewitness Travel Guide: China reveals the magnificence of China's greatest sights, including in-depth coverage of the Forbidden City and Terracotta Soldiers. The guide provides expert tips for visiting the Great Wall, cruising through the stunning Yangzi Three Gorges, and exploring the ultra-modern cities of Shanghai and Hong Kong. Explore China's cultural heritage through richly illustrated features on everything from the Beijing Opera to Confucianism, calligraphy, and the cult of Mao. DK Eyewitness Travel Guide: China includes 3-D cutaway illustrations, floor plans, and reconstructions of the major architectural sights, plus maps of the key cities and towns. The best places to stay and eat have been provided by resident experts and recommendations on regional specialties will ensure you don't miss China's best dishes. Markets and festivals are listed town by town. With hundreds of full-color photographs, hand-drawn illustrations, and custom maps that brighten every page, DK Eyewitness Travel Guide: China shows you this diverse country as no one else can. China is a trip-of-a-lifetime adventure for travelers in search of cutting-edge art and culture, rugged natural beauty, and cultural diversity. In full-color and with helpful magazine-style illustrated features, Fodor's China shows off the splendor of the country's historical treasures, vibrant culinary culture, and its colorful ethnic minorities like no other guide. Planning to focus your trip? Check out Fodor's travel guides to Beijing and Hong Kong. DK Eyewitness Travel Guide: China will lead you straight to the best attractions the country has to offer. This guidebook reveals the magnificence of China's greatest sights, including in-depth coverage of the Forbidden City and terra-cotta soldiers. It provides expert tips for visiting the Great Wall, cruising through the stunning Yangtze Three Gorges, and exploring the ultramodern cities of Shanghai and Hong Kong. Discover DK Eyewitness Travel Guide: China. With hundreds of full-color photographs, hand-drawn illustrations, and custom maps that illuminate every page, DK Eyewitness Travel Guide: China truly shows you this country as no one else can. Recommended: For a pocket guidebook to Beijing, check out DK Eyewitness Travel Guide: Top 10 Beijing, which is packed with dozens of top 10 lists, ensuring you make the most of your time in the city. Lonely Planet Shanghai is your passport to the most relevant, up-to-date advice on what to see and skip, and what hidden discoveries await you. Get a feel for the latest trends in the French Concession, whizz down to Hangzhou on a high-speed train, or explore the city's traditional laneways in Jing'an; all with your trusted travel companion. Get to the heart of Shanghai and begin your journey now! The Perfect Choice: Lonely Planet Shanghai, our most comprehensive guide to Shanghai, is perfect for both exploring top sights and taking roads less travelled. Looking for just the highlights of Shanghai? Check out Pocket Shanghai, a handy-sized guide focused on the can't-miss sights for a quick trip. Looking for more extensive coverage? Check out Lonely Planet China guide for a comprehensive look at all the country has to offer. DK Eyewitness Travel Guide: Beijing and Shanghai is your in-depth guide to the very best of these two metropolitan cities. Take in the major sights, from the breathtaking Great Wall of China to the imperial splendor of the Forbidden City; go on a canal cruise for your chance to contrast the old and new sides of Shanghai; or simply wander the cities' seemingly endless markets. • Free color pull-out map (print edition) marked with sights, a selected sight and street index, public transit map, practical information on getting around, and a distance chart for measuring walking distances. • Suggested day trips and itineraries to explore beyond the city. With hundreds of full-color photographs, hand-drawn illustrations, and custom maps that illuminate every page, DK Eyewitness Travel Guide: Beijing and Shanghai truly shows you these cities as no one else can. Lonely Planet Beijing is your passport to the most relevant, up-to-date advice on what to see and skip, and what hidden discoveries await you. Scale the Great Wall, sip a cocktail in an historic alleyway, or go ice skating with the locals in Houhai; all with your trusted travel companion. Get to the heart of Beijing and begin your journey now! The Perfect Choice: Lonely Planet Beijing , our most comprehensive guide to Beijing, is perfect for both exploring top sights and taking roads less travelled. Compact, affordable, reliable, a delight to readthese qualities are what has made China Survival Guide so popular with first-time and seasoned China travelers. This third edition has a brand new section on train travel, plus updates and fresh recommendations. Includes practical strategies for lodging, walking, haggling, medical and bathroom emergencies, etiquette, crowds, and learning the twin arts of patience and persistence. Frequent China visitors Larry Herzberg and Qin Herzberg are professors of Chinese language and culture at Calvin College in Michigan.